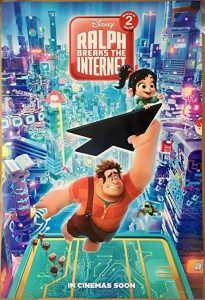 Join Ralph and Vanellope in their newest comedy adventure, and explore the worldwide web in a whole new way…with humour, heart and some unexpected guests that only Disney can bring along! Wear warm clothes/bring blankets and something to sit on. Warm drinks and food available from 6pm at 2000 Community Action Centre.